Senior Lieutenant General To Lam, Member of the Politburo, Minister of Public Security of Vietnam hosted a reception in Hanoi on May 15 for Lao Deputy Minister of Public Security Kongthong Phongvichit, who is leading a Lao delegation to attend the 9th security cooperation conference in 2018 between the Public Security Ministries of Vietnam and Laos. 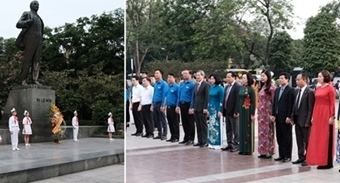 Minister Lam emphasized that the Ministry of Public Security (MPS) of Vietnam appreciated the efforts of the two countries' security forces to organize the 9th Vietnam-Laos security cooperation conference as scheduled. 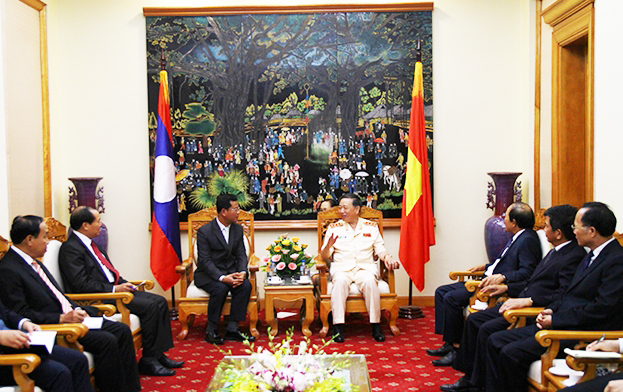 The presence of the high-level delegation of the Ministry of Public Security of Laos demonstrates the close and effective cooperation between the two ministries in general and between security forces of the two countries in particular. In addition to the annual Ministerial Conference, the two sides also hold seminars on cooperation in terms of security protection and police affairs, which plays an important role in implementing cooperation plans between the two ministries. 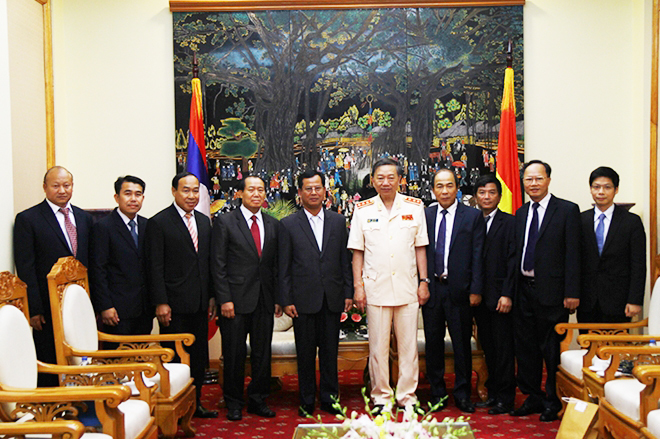 Minister To Lam, Lao Deputy Minister Kongthong Phongvichit and delegates at the reception. Minister Lam suggested that the two sides focus on reviewing results of bilateral cooperation on security, social order and safety over the past few years, and point out shortcomings, limitations as well as discuss causes and measures to enhance cooperation in the coming time in support of the two ministries’ task performances. The two sides should also continue to work out directions and measures to promote effective and comprehensive cooperation of the professional forces of the two sides. The Lao Deputy Minister thanked Minister Lam for the reception and emphasized that the political trust and fine relations between the two countries as well as the close and regular coordination and mutual support at the international stage between the two ministries have contributed to protecting interests and security of each country.